California Gov. Jerry Brown is proposing extraordinary revenue- raising plans to tackle the state’s $28 billion budget deficit. The Brown Administration has proposed that the state dissolve the state’s community redevelopment agencies (CRAs), regional quasi-public bodies charged with administering redevelopment dollars. Tax increment financing (TIF – the mechanism through which redevelopment is funded) is an enormous expense in California, representing $5.8 billion in diverted tax revenues a year. The current proposal would retire current redevelopment debts with agencies’ existing funds, allowing the $1.7 billion to be applied towards the state budget. Remaining funds would be returned to local governments and school districts. Unlike the Enterprise Zone program, also slated for elimination by the Brown Administration, redevelopment in California actually does provide some clear benefits to the state. TIF plays a significant role in providing affordable housing in California: twenty percent of all TIF revenues must be set aside for affordable housing projects. When properly harnessed, redevelopment can spur equitable revitalization. Some of the most successful community benefits agreements in the country come from Los Angeles, where LAANE and other organizations have leveraged redevelopment funds to provide good jobs and affordable housing to underserved communities. Madeline Janis, executive director of LAANE, Vice Chair of the Los Angeles CRA Board, and board member of Good Jobs First has argued that reform – not elimination – of CRAs is the best way to advance economic recovery in the state. Reform would help to address the overuse of redevelopment dollars in California. A February report by the Legislative Analyst’s Office found that CRAs in some counties have created so many projects that more than 25 percent of all property tax revenue is allocated to the agency. One needs to look no further for examples of irresponsible use of TIF funds than San Jose and Oakland. Both cities are scrambling to assemble and approve new subsidized professional sports stadium plans before the state can move to recapture redevelopment funds. Cities throughout California are moving decisively to spend or otherwise encumber their accumulated redevelopment funds. California’s $28 billion budget gap is unparalleled, but budget pressures are bringing tough love to the economic development-industrial complex around the country. Getting back to basics is critical. Programs that pay companies to do what they would have done anyway – that fail to meet the definition of the word incentive, that don’t correct market failures – are deservedly vulnerable. It’s only fair, given deep cuts being proposed for aid to children, seniors, students and the unemployed. We are proud of the methodology we pioneered in creating these studies and have freely given away our data and advice to others seeking to replicate the work. These studies were tedious: we obtained lists of subsidy deals using state Freedom of Information laws and then spent months either obtaining street addresses or cleaning up the addresses provided. So we are glad to announce new progress: in their online disclosure websites, states are increasingly including the street addresses of economic development deals. More than $3 billion per year among 15 states is now geocodable! To be sure, the ease with which these street addresses can be copied or downloaded varies a great deal. But the truth is: it is becoming easier than ever to map where states and cities are subsidizing the creation or retention of jobs. And once you have project sites mapped, you can juxtapose them with numerous criteria like those we have used: poverty, race, tax-base wealth, population density, whether the worksite is served by public transportation, whether jobs are being created in communities hardest hit by plant closings and mass layoffs, etc. For more information on mapping job subsidies, contact Leigh McIlvaine or Tommy Cafcas. Facing a budget hole estimated at $28 billion, the administration of California Gov. Jerry Brown has proposed program cuts that have economic development officials panicking. 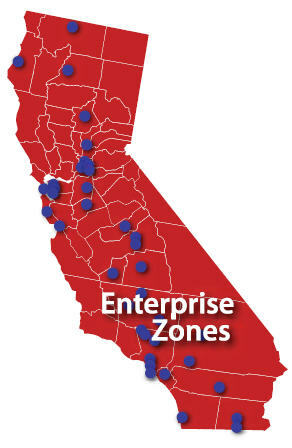 The Enterprise Zone program, which subsidizes in-zone businesses with hiring tax credits, deductions, and exemptions, is a prime target for revenue-starved California. The cost of EZ tax credits and deductions has increased by 35% per year on average since its inception. 70% of EZ tax credits to go corporations with assets of more than $1 billion. The EZ hiring credit does not require the creation of new jobs (many recipients simply relocate jobs). Whacking the EZ program would save the state $343 million this year. That figure increases to $600 million annually in just two years’ time. Elimination of a program that has negligible impact should be an easy decision for the state legislature. These funds would be better spent in an economic development program with a proven track record. Aside from the intellectually dubious idea of quoting a 36 year-old study about anything, given how much the U.S. economy has changed over that time, and not to mention that only seven percent of private-sector jobs in this country are unionized, those making this claim about the 1975 Fantus study are just plain wrong. First, the study cited was actually only one third of a 50-state comparison study; the other parts of the study rated the states quite differently. 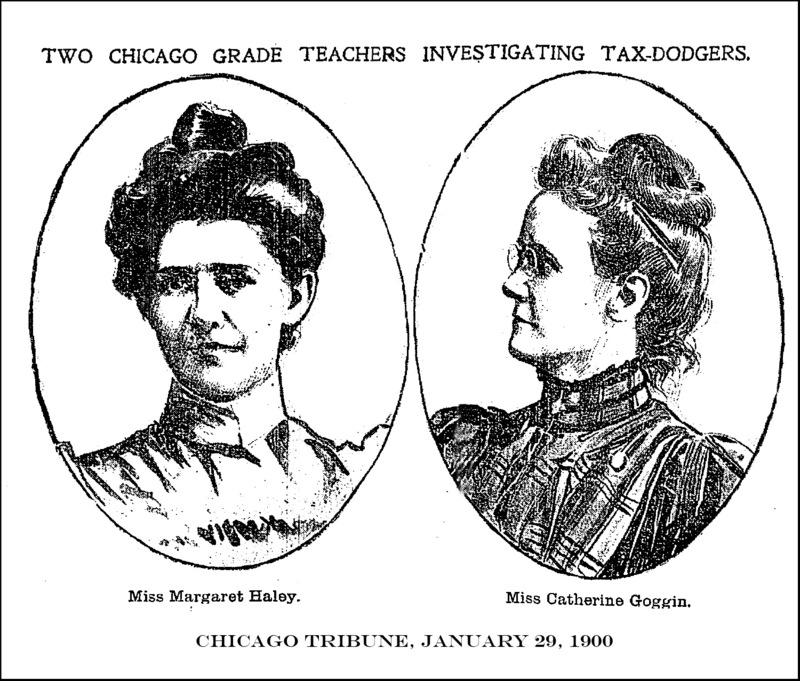 Second, Fantus refused to repeat the study and one of its executives correctly ridiculed “business climate” studies as “a Trojan horse for a certain ideological position.” Third, paid by state manufacturers associations, the Chicago accounting firm Grant Thornton picked up the work, but its methodology was discredited in 1986 by economic development experts and it also abandoned the work. Below is an excerpt from my 2005 book The Great American Jobs Scam (Chapter 3, pages 79-83) (Berrett-Koehler Publishers) which details this history. You can see the whole book free online here or buy it on sale for just $7.98 here. By the time [Fantus founder Leonard] Yaseen retired in 1977, a new term had started to take root: “business climate,” and Fantus helped define it to serve corporate financial interests. The term was often invoked in ways that reflected rising regional tensions. The Rustbelt was beginning to show its tarnish and the Sunbelt was booming. In the early 1970s, the populations of some states in the South and Southwest grew at 6 to 10 times the rate of the Northeast and Midwest. The very term “business climate” is brilliantly vague. Because the needs of different businesses vary so much, one size cannot fit all. And technology changes how work is structured, so the concept is always evolving. But the publicly understood version of “business climate” that was first established by corporate interests was a selective, politicized one. It remains an ambiguous, malleable term readily available for corporate use. Are we talking about the corporate income tax rate here, or is it how “business-friendly” people are, or how loose environmental enforcement is, or how generous the property tax abatements are? Companies and their lobbyists can always decide which part of the “climate” matters most today and whale away on it, insisting that if companies don’t get their way, the area has a “bad business climate.” Since the real decision-making process remains a black box, public officials have no way to judge such claims. For example, CFED explained, the index punished states that had good jobs. By giving negative weight to states with the best wages, Grant Thornton was penalizing every state that had lots of high-skill factory jobs, since those pay well. So even though a state must have been attractive for manufacturers to land a lot of good jobs, in the ratings, that was a negative. Two of Grant Thornton’s labor cost factors had to do with unions, but neither accounted for higher skills or lower turnover in union shops. A key factor used to measure productivity was botched; it measured capital intensity or low wages instead. The index over-weighted energy costs and ignored key issues like access to capital and quality of life. The index was also blatantly anti-tax and anti-social safety-net. Despite the fact that state and local taxes are a tiny business expense, 5 of the 22 factors Grant Thornton used were tax and budget issues. However, only one of them measured what states did with their revenue, and then only to give a negative weight to welfare spending. Nothing else that employers and taxpayers get for their money was counted: not the quality of infrastructure, education, training, recreation, public safety or cultural amenities. Four more factors had to do with workers’ compensation and unemployment compensation, which are among the smallest of business taxes, but are common hot-button issues for manufacturing lobbyists. Not only did Grant Thornton use poorly-chosen and biased data as the foundation of its ratings, CFED found, but it then put the numbers through a weighting process that made the results completely subjective and political. It sent the list of the 22 factors to the state manufacturing associations and allowed them to allocate 100 points among the factors, based on their beliefs about the relative importance of each. The responses were then averaged and weights assigned. So if a state association was in a big fight that year about workers’ comp rates, it might assign high weights to those two factors – even though there was no evidence that workers’ comp rates was having any effect on jobs. Basically, CFED concluded, the Grant Thornton index was at best a very crude measure for a tiny share of companies: only manufacturers, and more specifically, only manufacturers in mature industries with low profit margins who are most sensitive to costs such as labor and are looking to site a branch plant. It didn’t really apply to the much larger service sector, or to what we today call the New Economy: high technology, life sciences/biotechnology and other knowledge-intensive industries. Ideologically loaded “business climate” rankings are still with us. For a more recent dissection of several of them, see Prof. Peter Fisher’s study “Grading Places: What Do the Business Climate Rankings Really Tell Us?” published by the Economic Policy Institute in 2005.